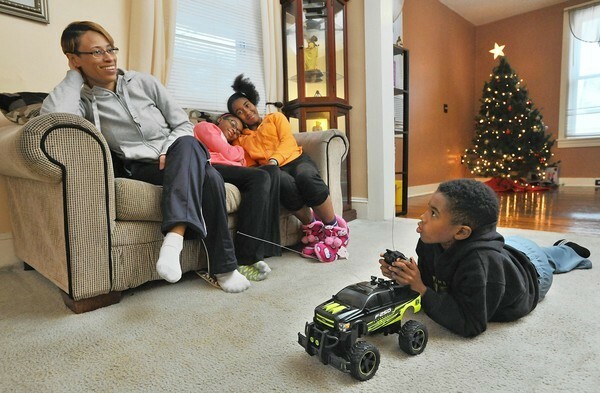 The Smiths, a family with three children living in Baltimore, were no strangers to asthma. The youngest was hospitalized three times a year for asthma and averaging a week-long stay that cost nearly $50,000 per year. The business case is clear. Asthma is a costly and chronic condition that is environmentally caused or triggered, with as many as 40 percent of asthma attacks being attributed to the home environment. The presence of household pests, poor ventilation, and even common allergens can trigger the onset of asthma attacks in unsuspecting ways. Traditional medical care can do little to reach into the homes of vulnerable communities, who rarely have the means to address the issues for themselves. Asthma is a leading cause of missed school days as well as missed work days, which can reduce the family’s income and negatively impact their education and employment. Healthy housing could be the difference between a family being stuck in an inter-generational cycle of poverty and having the opportunity of economic mobility. For insurance plans with the right contracting arrangements and the right involvement from the Medicaid administration, improvements in housing quality can save money by both preventing hospitalizations and investing in the overall health of a population. In 2014, the Green & Healthy Homes Initiative (GHHI) began work to secure sustainable funding for healthy homes interventions, using Pay for Success as an innovative financing arrangement. To bolster the business case, GHHI also began a US Department of Housing and Urban Development (HUD)-funded study in partnership with the University of Maryland Baltimore County’s Hilltop Institute to analyze the impact of healthy-homes interventions on medical claims. As part of the study, GHHI began receiving referrals from Amerigroup (a Medicaid managed care plan in Baltimore, Maryland) to demonstrate the potential impact healthy housing could have for their members. During the program, Amerigroup referred high-risk asthma beneficiaries to GHHI for comprehensive asthma interventions. Amerigroup showed a 25 percent total cost of care reduction for high-risk families, even with additional use of their controller medications that help prevent asthma attacks. Thanks to similar findings across all of its referred members, Amerigroup will be skipping the Pay for Success route entirely and is in the process of establishing a direct payment arrangement with GHHI for healthy housing services for their asthma patients. Projects like this are great news for families like the Smiths from Baltimore. The investment in health reduced their medical expenses by an estimated $48,300 in the year after the intervention as the youngest, highest-risk son wasn’t in need of a single hospital visit and never missed school due to asthma. Additionally, the family benefited from the housing intervention in other ways, including retaining $721 in utility savings from the home-remediation – money that could be better spent elsewhere. Nationally, many of these same programs are advancing. Similar pilots are being designed or are underway in Buffalo, NY; Chicago, IL; Memphis, TN; Salt Lake County, UT; Springfield, MA; and elsewhere. The national insurance carrier United Healthcare has begun a pilot in Houston, TX, that they are exploring as a potentially scalable national model. Meanwhile the states of Connecticut, New York, and Rhode Island are, to differing degrees, looking at state-wide healthy housing models that would address asthma. While each model is different and tailored to a local community, they all share the common thread of leveraging local community resources to address the health impact of the home environment. Real-world demonstrations of program effectiveness need to be seen as critical by service providers, insurance plans, and policy influencers. While the same referral and program approaches being used for healthy housing interventions could be applied to substance abuse programs, behavioral health treatment, and other social determinants of health, having a business case in abstract may not be enough. Service providers need to understand the funding models of their local insurance plans and then show the impact their programs have on the plan’s bottom line. That often involves a deep-dive into the chasm that is Medicaid reimbursement policy, a state’s approach to value-based purchasing, and healthcare finance laws. Fortunately, the groundwork has been laid. Many states are even pushing their insurance plans in this direction while many service providers (like GHHI and NFF) are happy to lend a hand. To see the details on the Smiths case study and intervention by GHHI, click here. Andrew Olson is a Social Innovation Specialist at GHHI, whose mission is to break the link between unhealthy housing and unhealthy families by creating and advocating for healthy, safe, and energy efficient homes. You can read more at https://www.greenandhealthyhomes.org/.